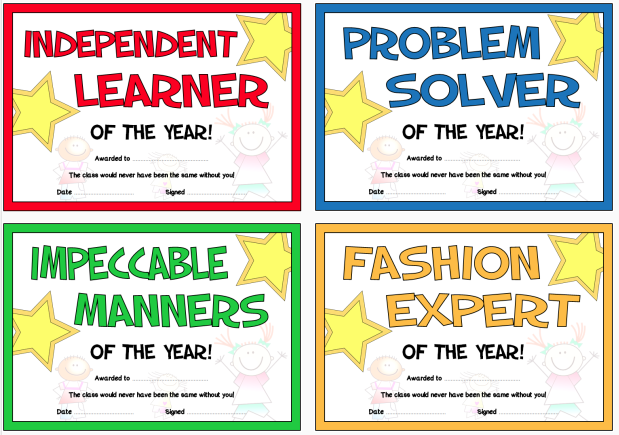 A fantastic set of 30 fun certificates that can be awarded to students at the end of the year. This set comprises of a range of different awards from comical to sincere. Ideal for recognizing and celebrating children’s individuality!